Happy Fall Y'all! It's Chandra from Teaching with Crayons and Curls and I am so happy be sharing some of my fall favorites and a freebie with y'all! And today is the last day of our first giveaway this month! 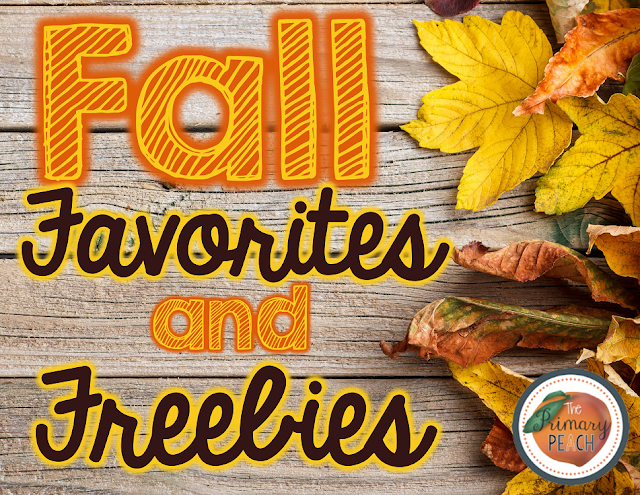 Make sure to enter for you choice of a TPT or Amazon gift card! Fall is my absolute favorite season! The weather is starting to get cooler- it's not too hot and not too cold, there is pumpkin iced coffee, fun festivals, fabulous fall fashion, football, and it doesn't hurt that I get to celebrate my birthday! I love fall so much that I celebrate in AND out of the classroom! 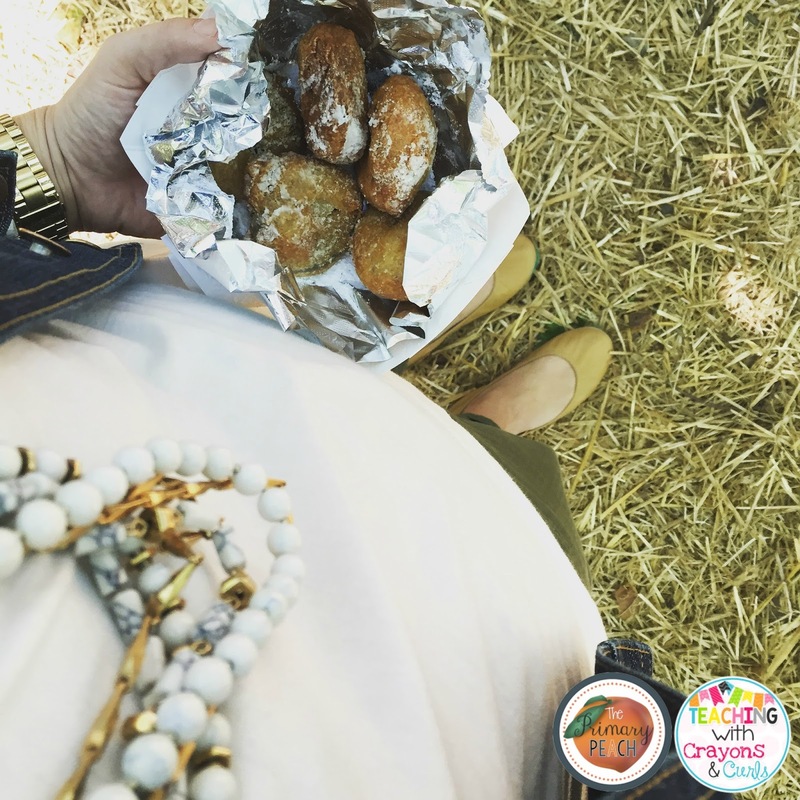 Weekends in the fall are totally meant for fun festivals with your family and fried Twinkies, right!? 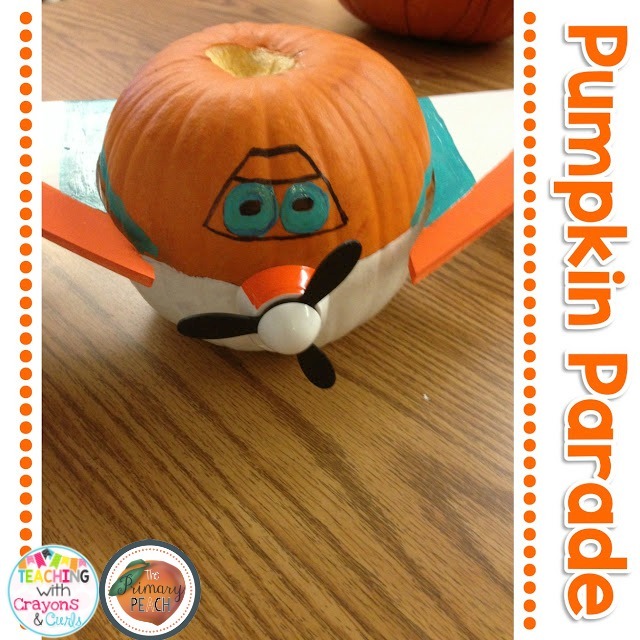 One of my ALL TIME favorite activities during the entire year is our Pumpkin Parade! Doesn't that sound like so much fun!? Students are instructed to turn a pumpkin into their favorite book character and complete a book report. It's a great activity that is completed at home! Then, I invite families into our classroom to view our pumpkins and students put on little presentations. Seriously, this is one of those activities that students still remember at the end of the year! And, of course I can't forget about this fun fall activity! 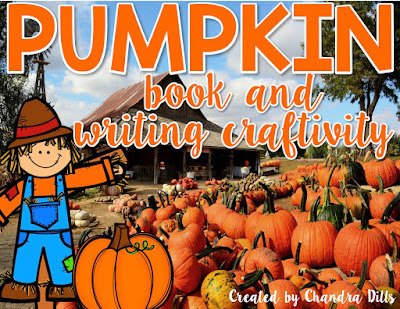 This fun, fall freebie is the perfect compliment to the book Spookley the Square Pumpkin by Joe Troiano! 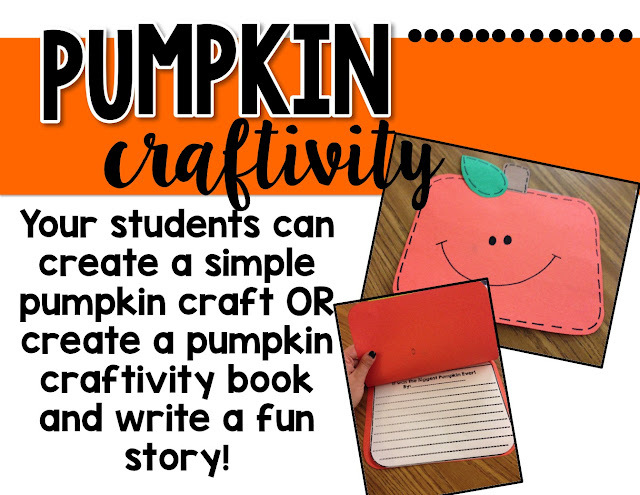 It's a simple pumpkin craft that turns into a little book! It also has a writing prompt included! 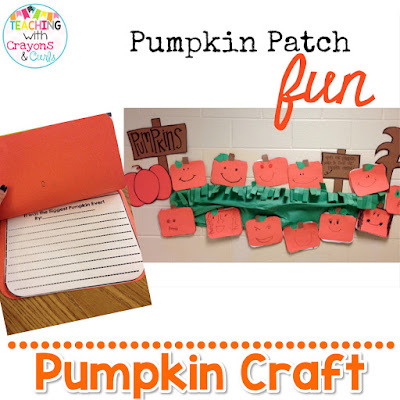 It also makes the cutest bulletin board display for fall! And, you can't leave before entering our giveaway! Today is the final day of our first giveaway this month! Enter below to win your choice of a TPT giftcard OR Amazon gift card! LOVE this!! 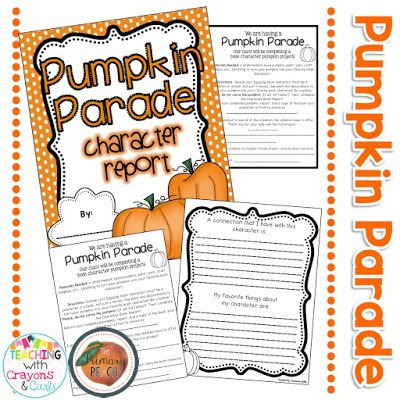 I just purchased the Pumpkin Parade and I can't wait to use it with my first graders! !